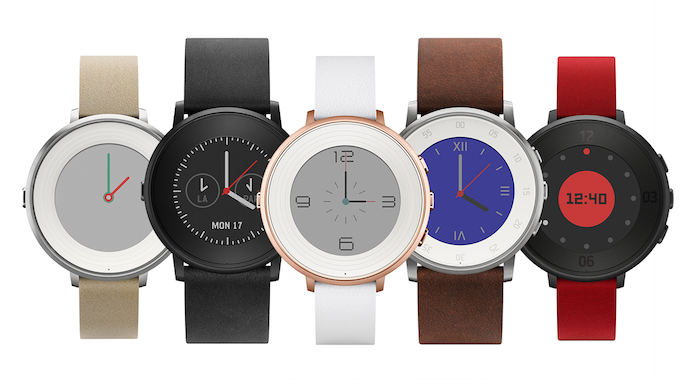 While the Apple Watch currently has a square design, the Pebble offers their watches in both square or a round look. The Square version is available in either plastic or steel, starting at $199 but you can find it on Amazon for much less. In terms of durability, both the Apple Watch and Pebble watches are well built and both are splash resistant. The Apple Watch sport has an aluminum case with Ion-X glass, similar to what you find on an iPhone. The more expensive Apple Watch features a steel case and Sapphire glass, which is even stronger. The Pebble has a scratch resistant gorilla glass, which is known to be strong as well. If you’re looking for a really thin smartwatch, you should definitely take a look at the Pebble Round, it has by far the thinnest design on the market today and looks like a regular watch.The Pebble Round is also available in rose gold with a smaller band, which is an excellent choice for women, so be sure to look out for our next videos as it makes a great gift for the holiday season. One of the biggest differences between the two watches is the screen. While the Apple Watch has a bright OLED display, the Pebble features a color e-paper display. That means the Pebble’s screen always stays on and doesn’t have any glare in the sun, similar to the type of display you would find on a kindle. 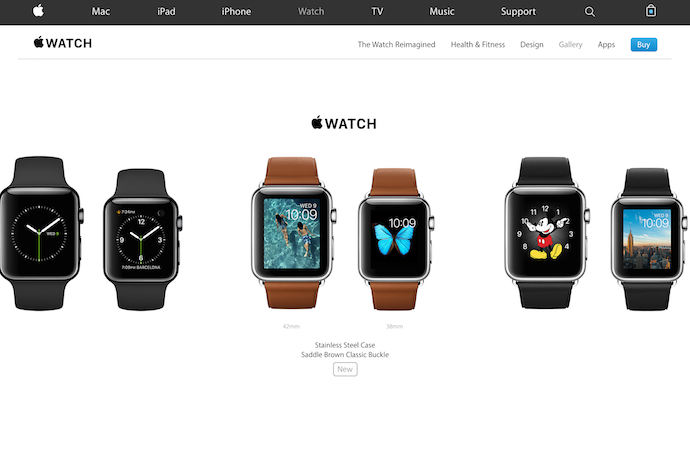 The Apple Watch display is the same type of screen you would find on smartphones. The Apple Watch stays off until you turn your wrist and then shows your watch face. The e-paper screen on the Pebble also means much longer battery life, in some cases almost a week, while the Apple Watch will probably get you about 2 days before it needs a charge. Another major difference between the two is that while the Apple Watch has a touch screen, the Pebble has 4 buttons - One on the left and 3 on the right. You use these buttons to look at scroll notifications, navigate your calendar, and quickly find and use your apps. The Pebble app store has a handful of apps available. The good news is most of them are simple and useful such as fitness trackers, Nest to control your thermostat, and transportation apps such as Uber and MyBus. On the Apple Watch, you operate it using either the touch screen or the crown. It’s very easy to use, however when you’re on the move it can be hard to open the right apps and hit the small buttons. There are plenty of apps available on the Apple Watch, that you can easily install from your iPhone. One important aspect to know about Apple vs Pebble is that the integration between Pebble and iPhone is limited. For example, you can’t reply to iMessages directly from the Pebble, and the watch will vibrate on every notification, while the iPhone knows when you are wearing the Apple Watch and when to vibrate the watch. 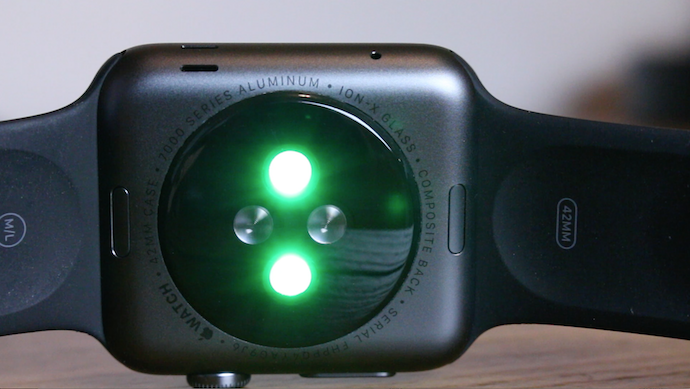 Looking at the sensors, this is where the Apple Watch really starts to shine. The watch uses both infrared and photosensors on the back to calculate your heart rate, so it’s very accurate. Unfortunately the Pebble watches do not have a heart rate sensor, but they can still count your steps. Both the Pebble and the Apple Watch have a microphone, but the Apple Watch also features a speaker which the pebble doesn’t have. 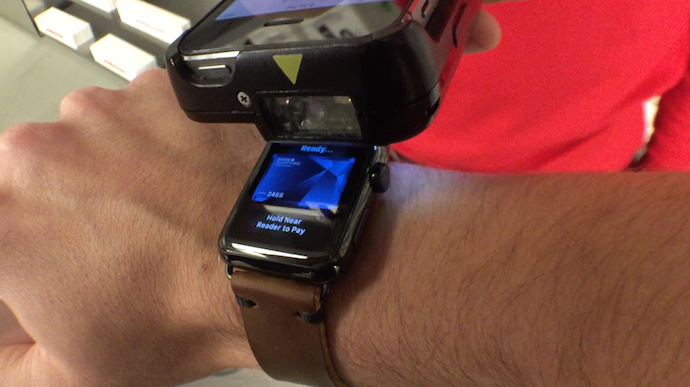 The Apple Watch also has Apple Pay, which means you can setup your credit card and start paying with your watch at stores that have the tap to pay readers. Finally when we look at customization, both watches have plenty of options. The Pebble has quick release pins on the bands, we put a link in the description for you to check some out. There is also a ton of free watch faces available in the store that you can customize to match your band. On the other hand, while the Apple Watch accessories from Apple are expensive and have a proprietary mechanism for the quick release of their bands, you can still find 3rd party options. At the end of the day, both are excellent smartwatches and the best depends on what you’re looking for. Pebble is a more simplified smartwatch that looks great! If you are new to the smartwatch community and are looking for a simple watch with SOME smart capabilities at a cheap price, than the Pebble Round is for you. And if you love Apple products and want that tight integration with a full blown smartwatch, then go for the Apple Watch - there’s plenty of options out there.